Does dry skin cause wrinkles and premature aging skin? Does dry skin really cause wrinkles and aging skin? I have often been told by sales assistants over and again that I need to use a moisturizer to ensure my skin is well hydrated and moist to prevent it from drying out and causing wrinkles. 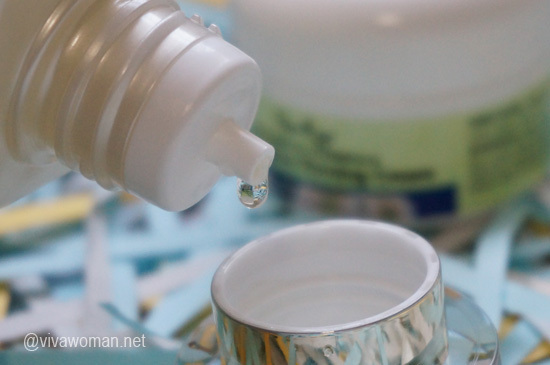 While I understand that it is important to keep our skin well hydrated, and that we do need a moisturizer, what I can’t make sense of is: can dry skin really cause wrinkles and premature aging? So I’ll like to tackle this question today. Wrinkles are folds or creases in the skin that occurs as a person ages and grows older. As we age, our skin gets thinner, less elastic and produces less collagen. The genetic make-up of a person can also determine how wrinkly we get and when and where wrinkles will start appearing. It has been proven that most wrinkles appear on areas that receive the most sun exposure, even though there are other contributing factors to wrinkles as well. Having sufficient quality sleep will also improve the overall skin condition and in turn push back the hands of time a little when it comes to premature skin aging (source). Our skin gets dry when the outer layer of our skin is not hydrated enough. When the outer layer of our skin is depleted of water, it loses its protective function and allows water loss through the skin, making the skin vulnerable to environmental attacks. Our skin has its own build-in moisturizers that are oils produced by the skin glands, acting as a seal to contain water in our skin. But when that layer is stripped, we lose water through our skin faster than we can replace it, and that causes dry skin. 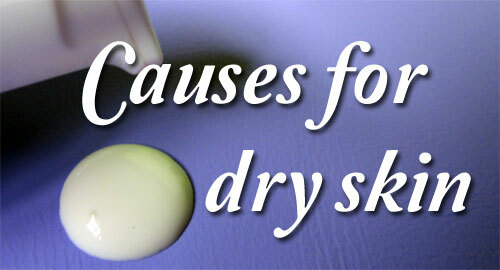 Having dry skin can be a sign of a kind of skin condition such as eczema, contact dermatitis or psoriasis. 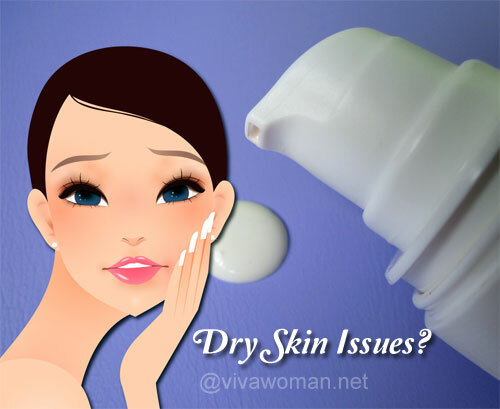 But generally, dry skin can stem from a couple of things that arenâ€™t serious or necessarily harmful, although if left untreated can be annoying because dry skin tends to itch or flake if serious enough. Dry skin can be caused by exposure to low humidity environments such as winter and air conditioning. Central heating can also cause dryness in skin as it acts the same as an air conditioner, removing water from indoor air. Taking long and hot baths, detergents and cleaners that remove the skinâ€™s natural oils while cleansing and a variety of other personal care products can also be contributing factors to dry skin (source). Does dry skin really affect aging in the skin? 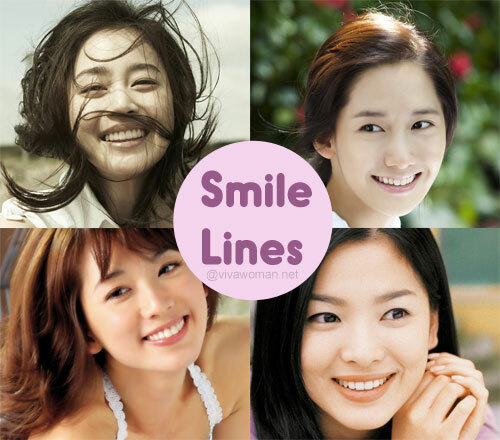 The main factors in causing wrinkles are usually smoking, exposure to sun and repeated facial expressions. If you take a look at areas on your body that never sees sunlight directly, you will realize that they donâ€™t have any wrinkles at all, and that is because majority of the aging in skin is due to the amount of sun exposure one has.Â Dry skin is never one of the reasons that cause wrinkles, but the dryness may bring emphasis to wrinkles. So moisturizers help â€˜preventâ€™ wrinkles only because it hydrates the skin and makes the skin look moist and plump, therefore reducing the appearance of wrinkles. But wrinkles are ultimately creases that go deep into the layers of skin and hence, moisturizers can only improve the appearance of wrinkles but can neither solve the wrinkle problem nor prevent wrinkles (source). After doing some readings, I am convinced premature skin aging is largely due to sun exposure and not so much due to dryness in our skin. So the next time any sales assistant tries to sell me a moisturizer, I will bear in mind to gently let her know that dryness does not cause aging. And I will definitely be more cautious when heading under the sun and make sure I have enough sunscreen on to prevent future aging in my skin! 5 tested tips and tricks to hydrate your dry skin condition Can smiling more cause your face more wrinkles? Help! Why is my skin so dry by evening? Will double cleansing dry up my skin? Previous Post: « Share: do you use any beauty, makeup or hair apps? I do think that dry and dehydrated skin exacerbate the signs of wrinkles — but they in and of themselves probably do not contribute much to the creation of wrinkles themselves. However, I do wonder about the often touted idea that those with oily skin tend to “get old” (develop wrinkles) later. It seems to associate dry skin with wrinkles. I think dry skin ages the skin although not as directly as UV rays and stress. Because dry skin leaves the skin more vulnerable and exposed to environmental stress that can weaken the skin in the long run. Ahh yes.. Dry skin definitely needs addressing before it leads to other skin problems as it does leave the skin vulnerable to environmental stress. Very nice information about the casues of both dry skin and wrinkles. Now I know the causes and to prevent it..
yes, dry skin only makes the wrinkles more visible but once you hydrate the dry skin, those wrinkles do tone down in appearance so that’s fine!!! I have also seen that some serums which are supposed to be hydrating are in fact drying on the skin and cause the wrinkles to deepen!!!! I am using a serum that is supposed to dry out pimples, and like you mentioned about serums, I’m afraid of it drying out my skin a little more than I would prefer.. I have frown lines on my forehead between my brows. And I do notice that when my skin is well-hydrated, those lines appear less prominent/deep. Very happy to read that dry skin doesn’t cause wrinkles. I have very dry skin because of a skin condition. I can’t use moisturizers, they always irritate my skin. Thanks for the helpful info. For smoother and Supple skin remain hydrated, use a good sunscreen and adopt a good skin care regimen. Actually dry skin causes the skin to be vulnerable to the sun. Dehydrated skin causes the skin to look older. This is why I created Liquid Gold Cell Quench, Niki Taylor’s favorite skincare product. It truly hydrates the skin, not covers it in gasoline and alcohol! Dry skin makes your wrinkle more visible. So it is very necessary to treat dry skin. I use Stemuderm. It is a Solvaderm product. It pampers skin with moisturizers and nutritive conditioners to hydrate skin and noticeably improve texture and softness of the skin. One can try this product.